What does it mean to “do theory” in the study of religion today? The terms “method and theory” are now found in course titles, curricula/degree requirements, area/comprehensive exams, and frequently listed as competencies on the C.V.s of scholars from across a wide array of subfields. Are we really that theoretically and methodologically sophisticated? While a variety of groups at annual scholarly conferences now regularly itemize theorizing among the topics that they examine and carry out, it seems that few of the many examples of doing theory today involve either meta-reflection on the practical conditions of the field or rigorously explanatory studies of religion’s cause(s) or function(s). So, despite the appearance of tremendous advances in the field over the past 30 years, it can be argued that little has changed. Indeed, the term theory is today so widely understood as to make it coterminous with virtually all forms of scholarship on religion. This volume seeks to re-examine just what we ought to consider theory to signify. 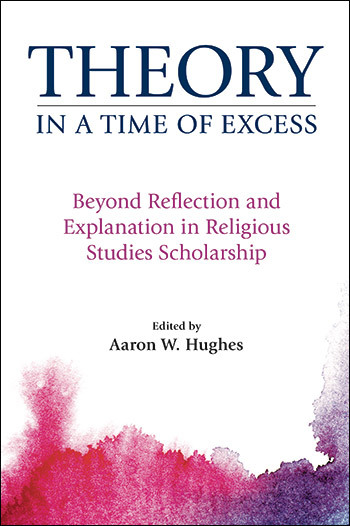 After a critical Introduction written by the editor, the first two chapters reflect generally on what the place of theory has been in the study of religion, and what, at this particular moment, its focus ought to be. The remainder of the book comprises four distinct sections by a leading theorist in, respectively, anthropology of religion, cognitive science of religion, philosophy of religion, and cultural/literary theory. Each section is be followed by three shorter response papers, and each section concludes with a response by the theorist. Luther H. Martin is Professor Emeritus of Religion, University of Vermont. He also has been a Distinguished International Fellow at the Institute of Cognition and Culture, Queen’s University Belfast, and a Visiting Professor at Masaryk University, Brno, Czech Republic. He is the author of Hellenistic Religions (1987) and of numerous articles in this field of his historical specialization. He has also published widely in the field of theory and method in the study of religion, especially, in the area of cognitive theory and historiographical method, and has coedited several volumes in this area, including Past Minds: Studies in Cognitive Historiography (2011). He is a founding member of the International Association for the Cognitive Science of Religion and is co-editor of its Journal of the Cognitive Science of Religion. Donald Wiebe is Professor of Philosophy of Religion at the University of Toronto, Canada. His primary areas of research interest are philosophy of the social sciences, epistemology, philosophy of religion, the history of the academic and scientific study of religion, and method and theory in the study of religion. He is the author of Religion and Truth: Towards and Alternative Paradigm for the Study of Religion (De Gruyter, 1981), The Irony of Theology and the Nature of Religious Thought (McGill-Queen’s University Press, 1991), Beyond Legitimation: Essays on the Problem of Religious Knowledge (Palgrave Macmillan, 1994), and The Politics of Religious Studies: The Continuing Conflict with Theology in the Academy (Palgrave Macmillan, 1999). He is a founding member of the North American Association for the Study of Religion, and served as President of that Association twice (1986/1987; 1991/1992). This chapter provides a chronological history of NAASR over the past 20 years. According to some, theory ensures the integrity of religious studies as an academic discipline: it is the development and application of theory to explain religion that distinguishes critical scholarship from the apologetics of theology (and, allegedly, the covert apologetics of phenomenology of religion). In this chapter, Blum acknowledges the necessity of theoretically-grounded explanation of religion, not as a levy to be paid for entrance into the academy or the public university, but as an essential dimension of the task of analyzing the collection of phenomena that we, for better or worse, call religion. Acknowledging the necessity of theory, however, does not tell us when and how theory should be deployed. Within this context, he argues that theory must be restrained in the interpretive phase of the analysis of religion, or else the scholar risks losing the very phenomenon she seeks to study. The legitimacy and integrity of research in religious studies therefore rests not only on the proper application of theory, but on the proper restraint of it as well. Simmons reflects on her training in English to argue for the centrality of critical theory to interrogate power dynamics, specifically the ways in which race, gender, sexuality, capital are constructed. She then juxtaposes this with the study of identity formation in the academic study of religion. The latter, unlike the former, is predicated upon a rejection of post-structuralist critique so as to take stock of “lived experiences” of marginalized groups. What accounts for this inversion, she suggest, is the relationship between scholars and their object of study. Stephen L. Young has a PhD in Religious Studies from Brown University. His research focuses on the intersections between mythmaking, discourses about deities, and textuality and sacred books in the ancient Mediterranean. Dr Claire White is Assistant Professor in the department of Religious Studies at California State University, Northridge. She holds the first position in the United States as a Cognitive Science of Religion specialist in a Religious Studies Department. She is also the Co-Chair of the Cognitive Science of Religion Group at the American Academy of Religion. Over the past decade or so there has been an exponential growth in research in the Cognitive Science of Religion (CSR). Yet despite this, there continues to be a lack of understanding, and sometimes blatant misunderstanding, about what characterizes the field. This state of affairs is due, in part, to the reluctance of those within the field to commit to a precise definition. In this chapter, White argues that at heart of CSR is a theory that human cognition is necessary (but not sufficient) to explain the presence, persistence and prevalence of human ideas and behaviors deemed “religious.” It is thus distinguished from its often a-theoretical academic counterparts in the study of religion because of the attempt to explain, rather than describe, religion and because of the centrality of the role of the human mind in this explanation. Matthew Bagger teaches in the Department of Religious Studies at the University of Alabama. He is the author of Religious Experience, Justification, and History (Cambridge University Press, 1999), The Uses of Paradox: Religion, Self-Transformation, and the Absurd (Columbia University Press, 2007), and editor of Pragmatism, Naturalism, and Religion (Columbia University Press, forthcoming). The chief glory of the Study of Religion is its theoretical eclecticism. As a field, claims Bagger, programmatic theoretical approaches should be resisted. Instead, he argues that the use and development of theory should be driven by specific questions that arise in particular studies of religious phenomena. Metatheoretical reflection should generally be closely tethered to works of first-order scholarship. The use of Robert Brandom’s analysis of existential commitments to illuminate so-called narrative theology illustrates these claims and bears implications for the cognitive science of religion. James Dennis LoRusso is a research fellow in the Center for the Study of Religion at Princeton University. He completed his PhD in American religious cultures at Emory University. His research examines the intersection of religion, politics, and the market- place in the United States. If we are to seriously consider what circumstances cause so many scholars of religion to tout themselves as people who “do” method and theory – and yet nevertheless end up with analyses that are relatively empty of both – then perhaps this has something to do with the very ways that we are first taught to professionally barter in those terms. In this chapter, Smith grapples with how the ghettoization of theory has transformed it into what is marketed as an attractive but ultimately unnecessary appendage to scholarship, which remains the model that is still embraced by many graduate programs in religious studies today. Reflection on the content of the volume, the history of NAASR and the state of the academic study of religion in the academy today. A compelling and stimulating read. 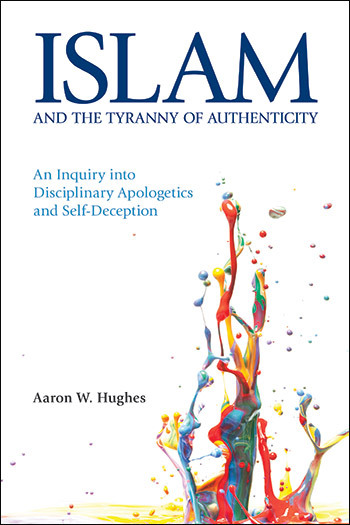 In light of this plurality of approaches to understanding and implementing theory, Hughes's expectation that "a multi-hued theoretical vision" might emerge from the volume accurately reflects the book's potential contribution to the meta-reflection on the mode, manner and scope of doing religious studies.